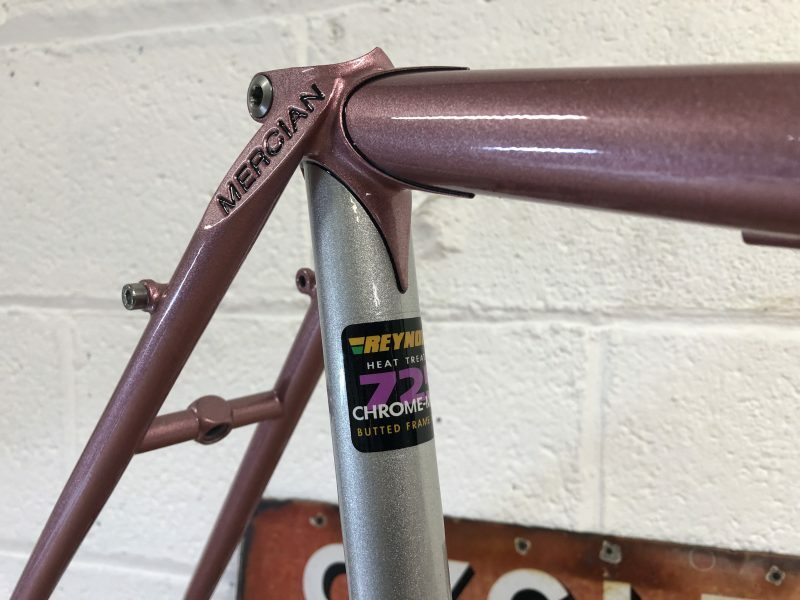 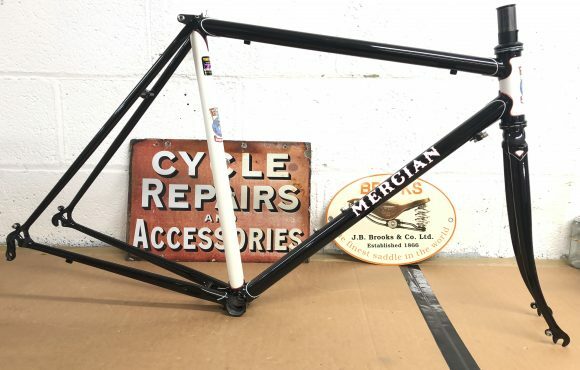 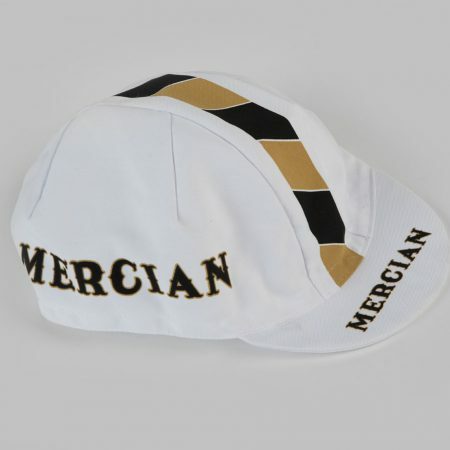 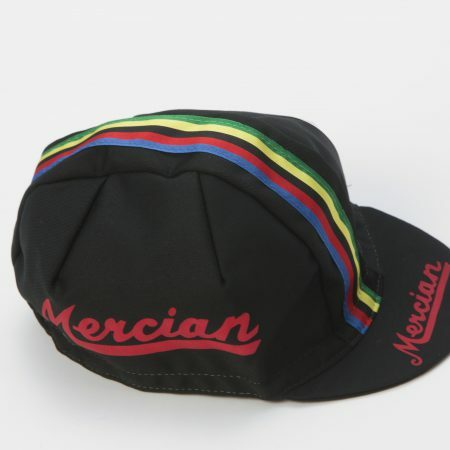 Mercian King of Mercia 54 cm with a 55.5cm top tube. 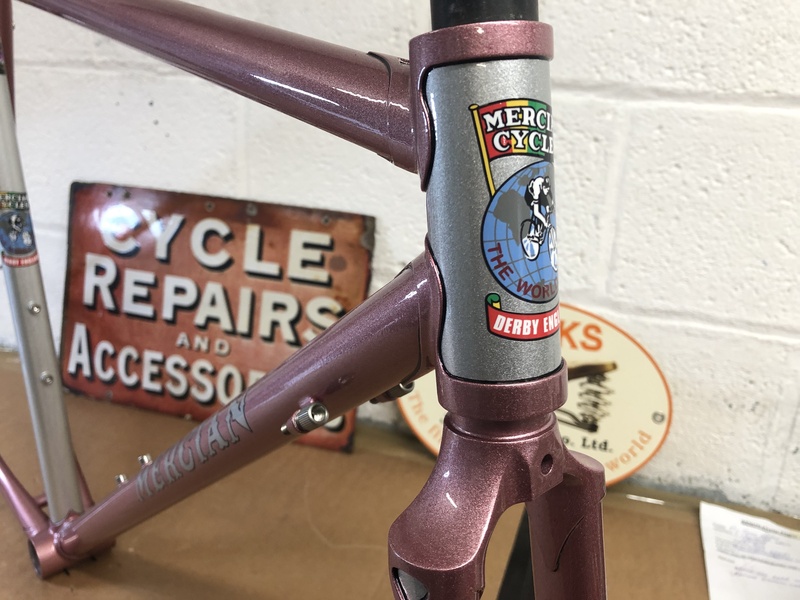 built using reynolds 725 tubing. 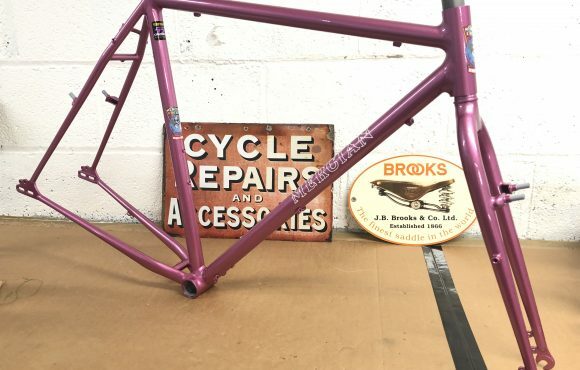 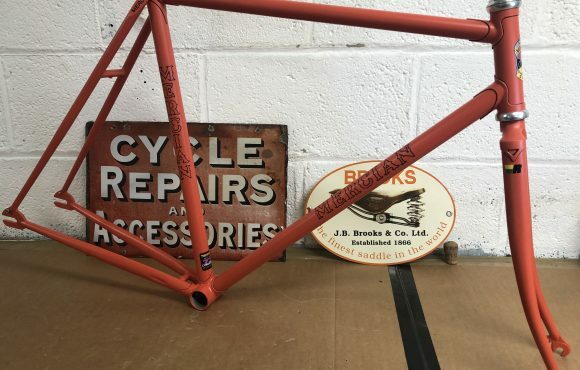 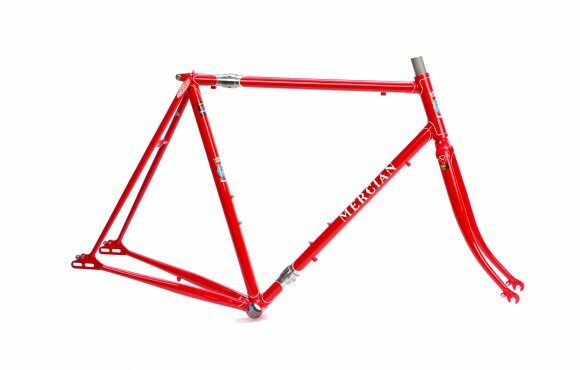 The frame will take a 32mm tyre and mudguard. 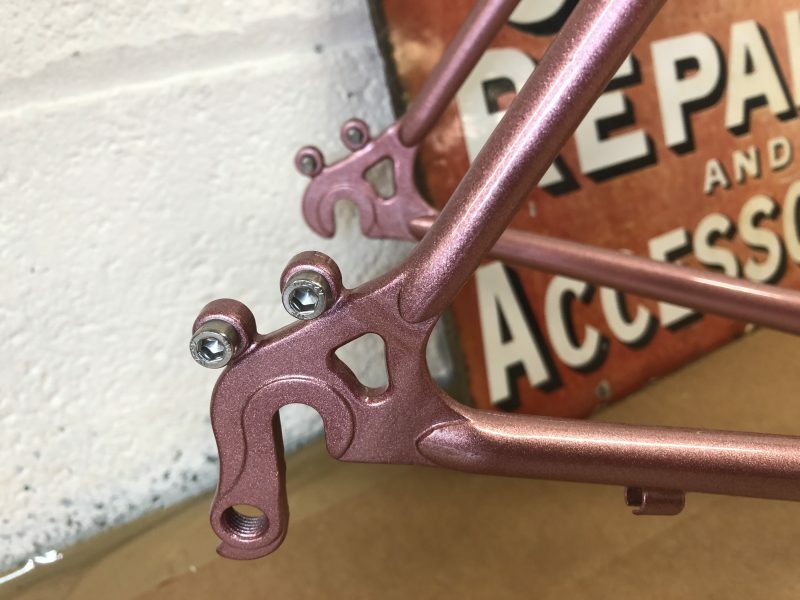 comes with 2 sets of bottle cage mounts and rear rack eyes. 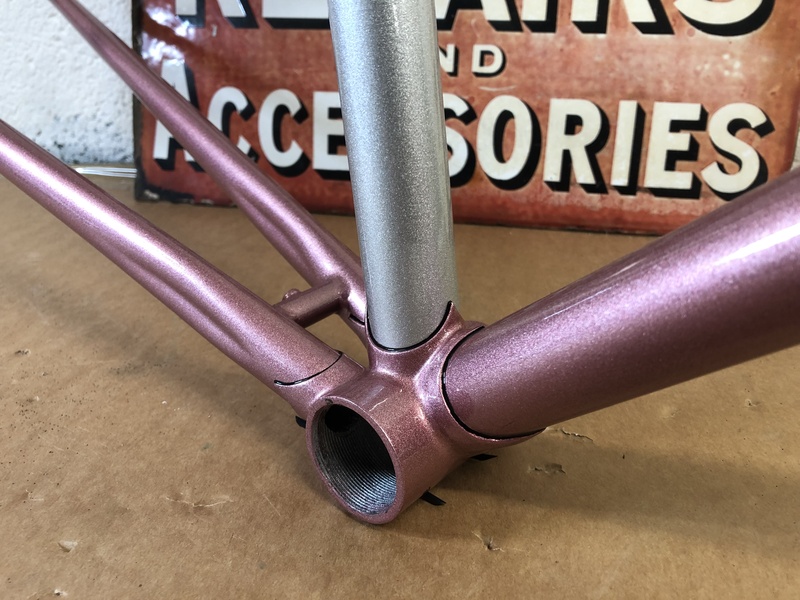 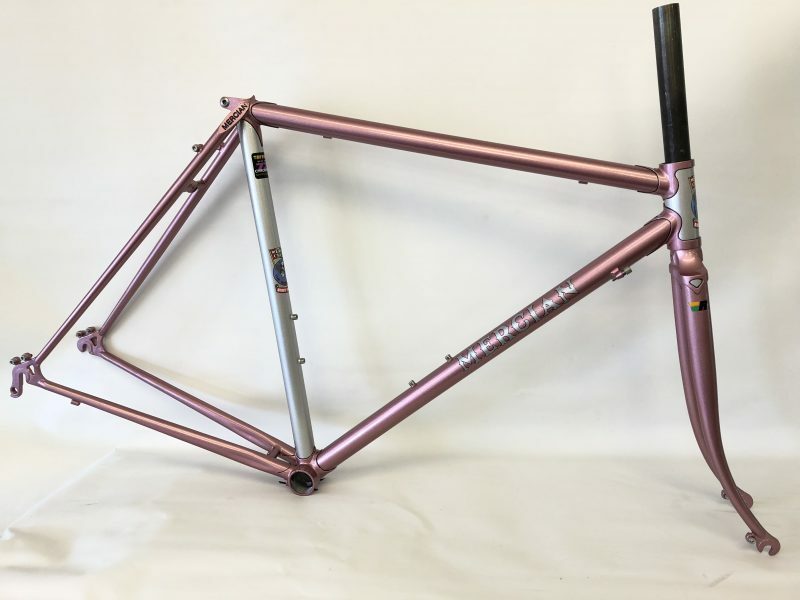 Sprayed in Rose pearl with the whole seat tube and head tube Silver Pearl and silver transfers.